My folks gave JSM and me a complete set, with all the serving sides, etc. for 12 people of the below. The china dishes were my grandmother's that her husband gave her for their 25th wedding anniversary. They were married in 1919. He ordered them from a catalog at the drug store which he owned and was the pharmacist. They were made in Japan, so I'm not sure why they're called china. 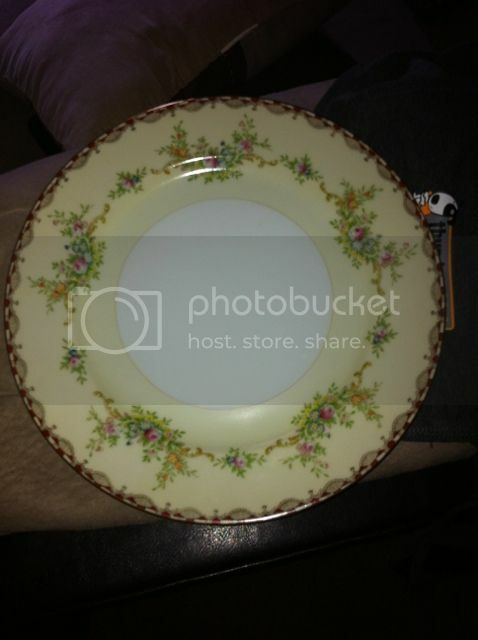 Noritake? They look like my grandmother's. Very pretty! Just peeking in and checking up. Love me some long ears! Hope you are doing well, 4 Donks. How did the hay bale pickup go this weekend? You have more energy than I have, for sure! Hi Brandi How are you doing? I was wondering the same thing about going getting the hay. Spent part of my day taking oldest grandson to the CVS minute clinic has his doctor couldn't get him in for a week. Last week he got into some poison oak. Went and got him the special soap and cream was looking good yesterday only had a few bumps. He woke up this morning covered all over his body big hives. The doctor gave him steroids and prescription antihistamines. They said he was having an allergic reaction to the poison oak. I feel sorry for him he looks so miserable. I see you TBM and chi Monkey. How are you guys doing? Been busy trying to get the house in order since son will be here next week. He is bringing his girl friend with him this time. And working on family tree again. Got all excited when I found a baby picture of my FIL. I knew that my MIL didn't have it. Bearly continued Prayers for you and the family. Having had both poison ivy and poison oak as a child, poison oak was worse. Poor lil guy. Glad you could get him treated and hope he improves quickly! Thank you Brandi. He is hoping for a quick improvement too. Vet and farrier all done but we were under a severe storm warning in the afternoon. We had strong winds, thunder, lightning and lots of rain so no hay pick up today. Jason (vet) gave Jazz his annual shots and examined him because he still is not back to his old self since Beela's been gone. We will be starting him on Prozac to see if it helps him with his depression. He really is worrying me because he stays by himself and wants to stay outside even with the heat (breaks my heart). Bailey was cracking the guys up with his antics. He can spin in the air with all four feet off the ground......awesome sight with his size but he's still a pup and exuberant. He is really friendly and loves attention. It amazes me that he can jump the 6' chainlink fence. Today he was running in the pasture with the donks and is just such a happy guy (donks not so much). Sister still keeping you all in my prayers. Well, I'm finally back from Baltimore. Left George in the intensive care unit there. It was tough to leave, but I needed to come home so bad. Will be headed back on Monday to speak with the oncologist. They want to do five weeks/five times a week with radiation and chemo. Although the cancer was orginally in parotid gland, it was alot more extensive than originally thought, plus it has spread to the lymph nodes so it is no telling where it is now. His surgery was 13 hours including the plastic surgeon who put a flap on his face (tissue taken from hip). The flap seems to have blood circulating in it, which is good. They also lifted his eyebrow, but a weight in his upper eye lid, new nerve at his mouth, etc. There is no way possible I can take him to Hopkins for the treatments as it is a 3 hour trip one way and we just can't afford to stay there. There is a local hospital which offers treatment, but their record is nothing compared to Hopkins. Many folks leave there with infections. Just in a quandry as to what to do. They have not gotten the pathology report back so they really don't know what kind of cancer it is which makes me wonder about having treatments until they know what they are treating. My crystal ball got broken years ago. Thank you for your thoughts and prayers and for keeping Connie's candle lit while I was gone. You will find what you seek. It will open up to you. I checked. From my house it's 3 hours, too, so I am no big help. Thank you for your prayers. I'm the go between with the opthamologist and the otologist -- to surture or not surture George's eye shut. One is afraid he will lose his vision and that is his good eye -- sees double out of the left eye. What to do? The appointment at Hopkins is the 31st and the surgery is scheduled for August 3rd. Funeral went well, even in 110 degree heat index. Had biopsies done on the sisters Tuesday -- feeling confident all will be well. Wish I was headed to Texas. You are amazing and in my prayers. Thank God for people like you! I wish I was headed to Texas, also, but my calling is with my parents right now. It is my turn to take care of my Dad, he always took care of us. 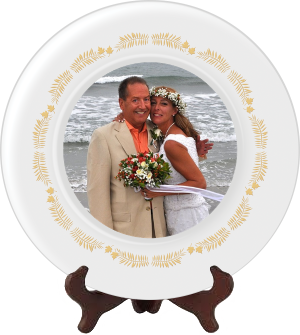 My Mom has always needed a lot of care from both of us, and with my Dad not able to do it, I am taking on his share, too. I love them both. I You Bearly, you have been through so much, God bless you. If you EVER need any help, I am at the ready. Just give me a week or two to get a ticket and I am there ASAP. Thanks, JSM! You have plenty on your own plate. We could use some prayers, Dad may be going to the hospital if he does not get any better and Mom needed oral surgery which was a bit rough. She is still bleeding after 3 days. 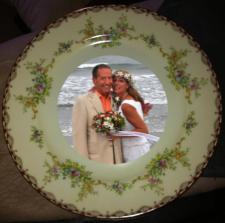 Here's a plate for ya, CC and JSM. I am so sorry I have not been around. Please say some prayers for my brother and his family. He was killed in a work-related accident. I am on the way to see my Dad and attend the services. He is the brother whose son I asked you for prayers for several ears ago when he was killed in an accident, also. He is my son's Godfather and a real role model for him, as my son's father is also deceased. My son, my brother, and I were very close and saw each other at least once a week, and talked on the phone a lot. My brother and I visiting my Dad together always got my Dad laughing. I am going to miss him so very much. He now resides in a big place in my heart. Sweetie, you all have been in my prayers. I know you will miss him, your dad will as will your son, but you have memories. You and your son can always visit your dad, your brother will be there in spirit and you can make your Dad laugh. you sweetie. Headed back to Baltimore to spend a few days. Spent yesterday checking with the local cancer treatment centers and what they have available. Have a little more information now than before. Really looking forward to speaking with the onacologist at Hopkins today. Many thanks for all the thoughts and prayers. Will let you know how things are going when I get back. Not exactly the way I was going to spend my vacation week, but there will be another. JSM did you get caught up? Have missed you and CC. Have a good night. They are so beautiful. We will probably never use them except for some SPECIAL occassion that I really don't know what it would be as CC is the cook. I really love the China. 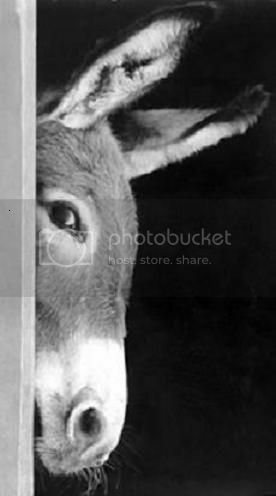 Hi 4 Donks!!! Love that peeking pic. Hope all is well with you all. Page created in 7.083 seconds with 19 queries.